Eddie and Skids are small-time criminals who make their living through shake-downs and petty larceny. Drawn together by circumstance and their mutual addictions, they wander through the streets of the city, searching for potential victims in order to appease their habits. Luckier than most, they have managed to avoid the law during their latest round of illegal activities. Tonight, however, their luck will take a turn for the worse, when their potential victim turns out to be something much different than what he appears. 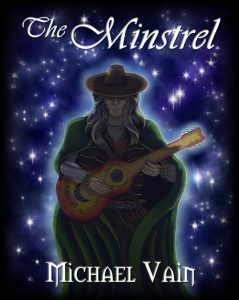 Armed with nothing but an odd, antique-looking eight-stringed guitar, this man will show these two desperate criminals that music can have the power to entertain, to entrance, and even to kill.